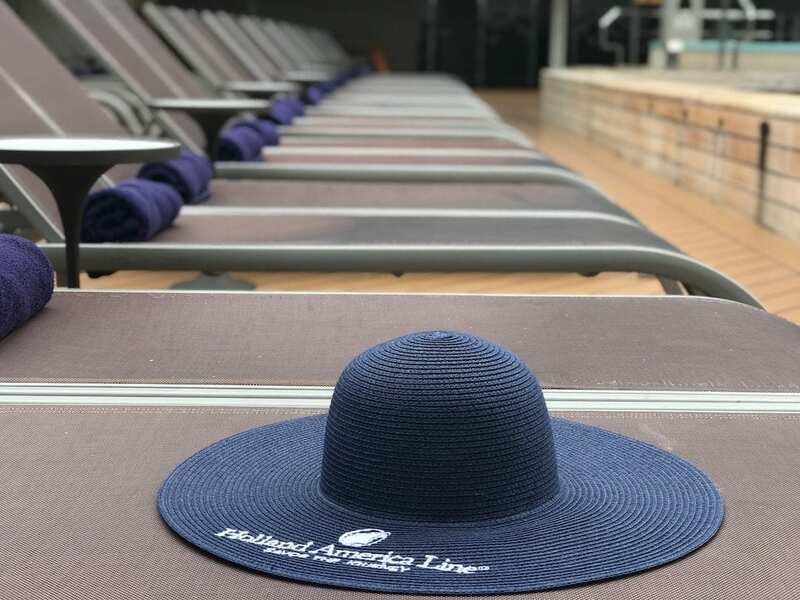 I just returned from being hosted on the Holland America Maasdam EXC In-Depth 20-day Southeast Asia sailing, and it was absolutely incredible. Having only been to Asia once before, I was so excited about seeing five new countries, especially not having to pack all my belongings up every few days! The Southeast Asia cruise started in Singapore and visited ports in Malaysia, Cambodia, Vietnam, Thailand, and Hong Kong. 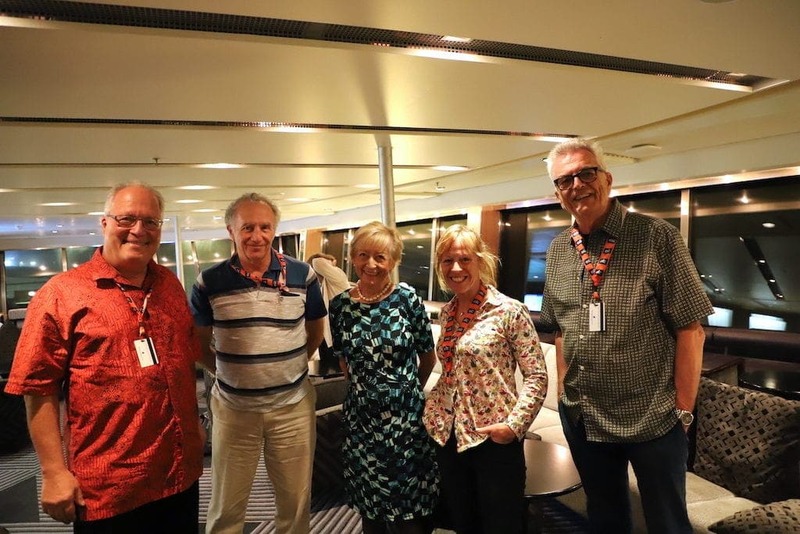 I was especially thrilled to be going on this particular journey as the Maasdam is the only ship that has the EXC In-Depth program adding even more activities to take part in on the ship. There was really so much to do on this cruise, it was hard to choose. Every Maasdam cruise offers a wide variety of themed activities for in-depth exploration. The Explorations Central In-Depth Voyages has taken cruising to a whole new level. I want to share a bit about the EXC In-Depth program. 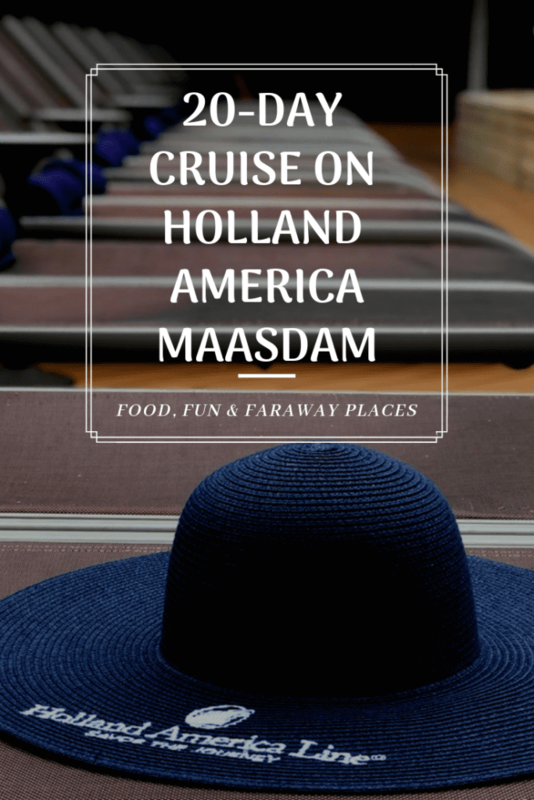 The following activities are only on the Holland America Maasdam. 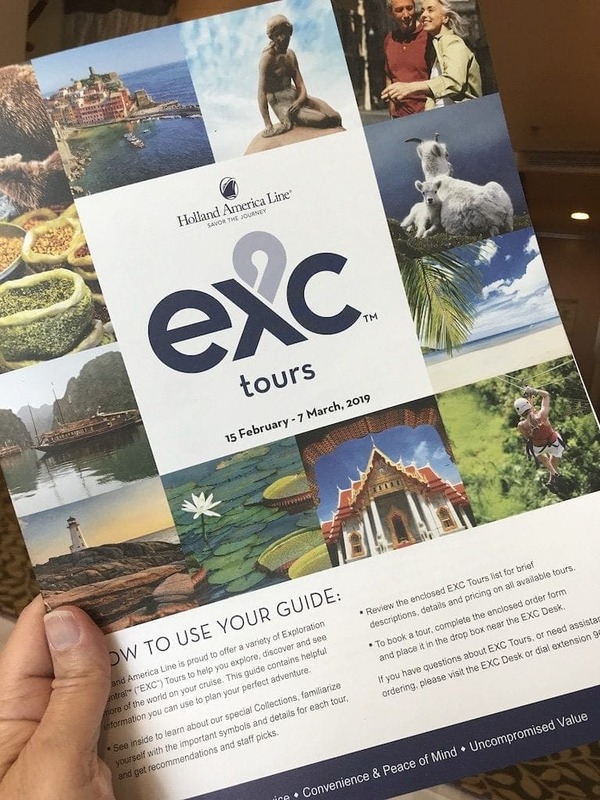 In other words, if you want to take part in EXC In-Depth, start planning now as these cruises will be selling out as more people realize the benefits of the EXC In-Depth Journeys. Attend a Port Talk with the EXC In-Depth Guide where you’ll learn highlights about the ports the ship is visiting. Matthew is the EXC guide on the Maasdam, and he is a wealth of information! The EXC Shore Excursions desk is open throughout the day for booking and inquiries. You will also see listings on the daily Where & When (delivered to your stateroom each day) showing times when you can stop by the EXC desk just to ask questions about anything you’re curious about. In addition, many of the EXC In-Depth Holland America Maasdam cruises include zodiac tours! This was not part of my cruise, but be sure to look at the tours offering those extra excursions. Take a photography class to help you get the best photos possible on your cruise. On my EXC In-Depth 20-day Southeast Asia cruise, a team of photographers offered complimentary classes teaching things like the basics of operating your DSLR and phone camera to more complicated Masterclass sessions. It’s hard to believe these sessions are included in the cruise! Learn about the nature and wildlife on your particular journey with EXC In-Depth presenter, author, and naturalist Ron Orenstein. Also a zoologist, lawyer, and wildlife conservationist, you might say Ron knows a little bit about science and nature. A passionate speaker, he gave enlightening talks about Vietnam’s lost natural world, the dragonflies of Asia, and even the durian fruit, used in so many dishes in that part of the world. If arts and culture are what interests you, be sure to go to these EXC In-Depth presentations. Kate Mead was the cultural ambassador on the Massdam. A former lecturer at The Hong Kong Polytechnic University, Kate brings a wealth of information about arts and culture to the EXC In-Depth program. Kate has lived, worked, and studied in Hong Kong for over 45 years, and has university degrees from Edith Cowan University Western Australia, The Open University United Kingdom, and the University of Hong Kong. In her presentations, she shares her knowledge on topics like Asian festivals, food and wine, dance, and the paintings of Asia, just to name a handful. Besides the food events, I have to say this was my favorite of the EXC In-Depth events. Author Terry Greenberg is an Asian Specialist in every sense of the word. Having spent many years living in Asia and now teaching on Asian Traditions and Thought at two universities in Vancouver, he is a fantastic speaker. I always do some reading about a destination before I travel, but the in-depth learning about the places we were visiting made this trip really special for me. I felt like I was looking at the destinations with new eyes, and now I’m eager to learn more. 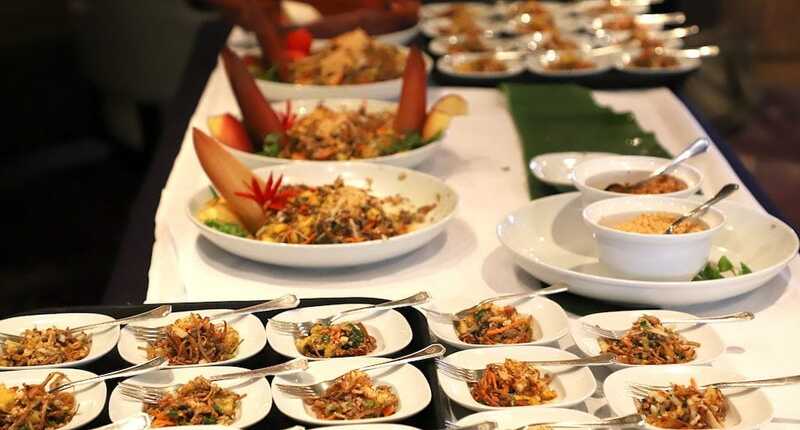 Take a cooking class from a chef who specializes in dishes from the region you’re exploring. On the tour I was on, our first guest chef was Chef Gigg from Thailand, here with Matthew, the EXC In-Depth Guide. 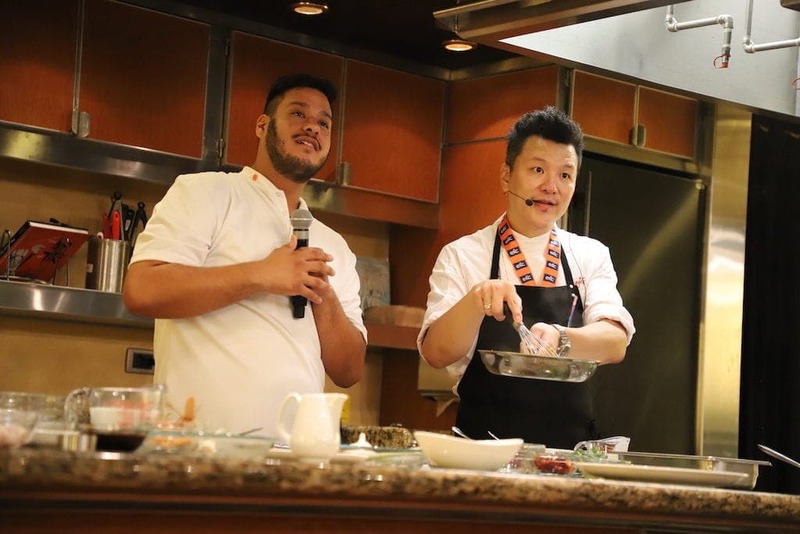 Later on during the cruise, we were joined by Chef Diep from Vietnam. She was so entertaining and the guests adored her! Of course, the cooking classes were my favorite activities! I learned so much about Asian cooking and have recipes I’ll be sharing soon. Also, at 5 pm each day when there is a guest chef demo, you can take part in tasting the that particular chef’s creations at Sip & Savor. 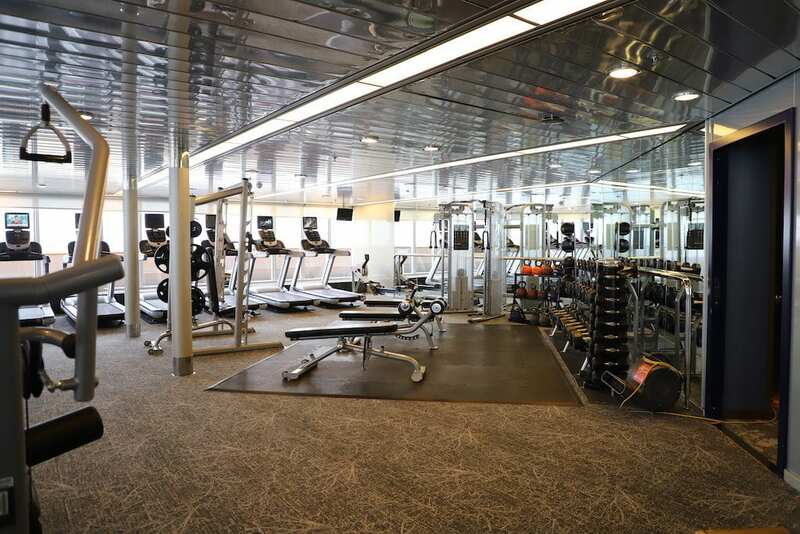 In addition to all the EXC In-Depth events, choose from more than 30 activities while you’re on the ship. I could add another 20 to this list, but this is just to whet your appetite! 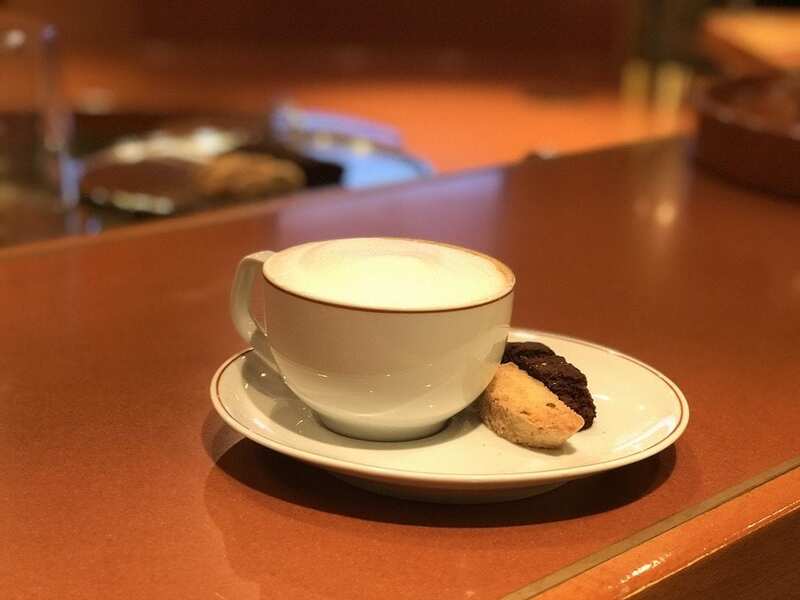 Relax with a cappuccino or espresso at the Exploration Cafe * – I fell in love with this spot immediately. Big comfy chairs look out over the water and you’ll find more group seating on the sofas. 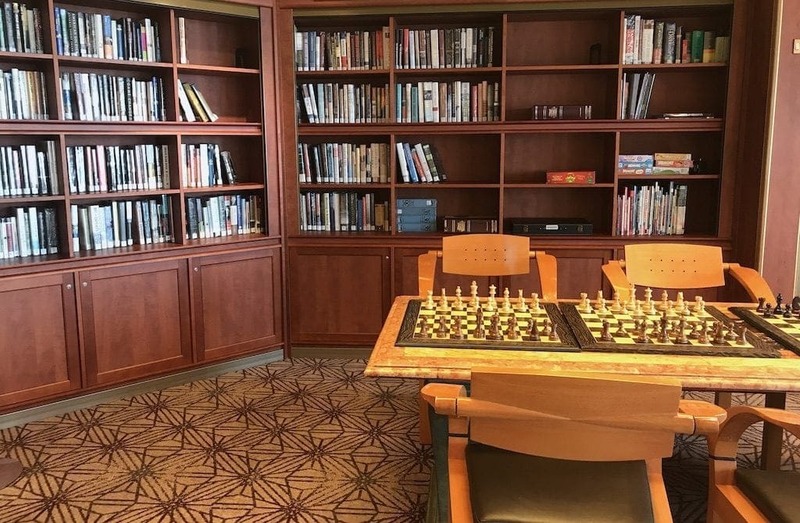 Games galore like chess and backgammon are scattered throughout the Cafe. Bookcases are filled with hundreds of fiction and non-fiction titles you just grab and return. There are even shelves dedicated to travel and food. It’s no surprise that this was my happy place at least once per day. Let the waves cradle you to sleep for a nap. 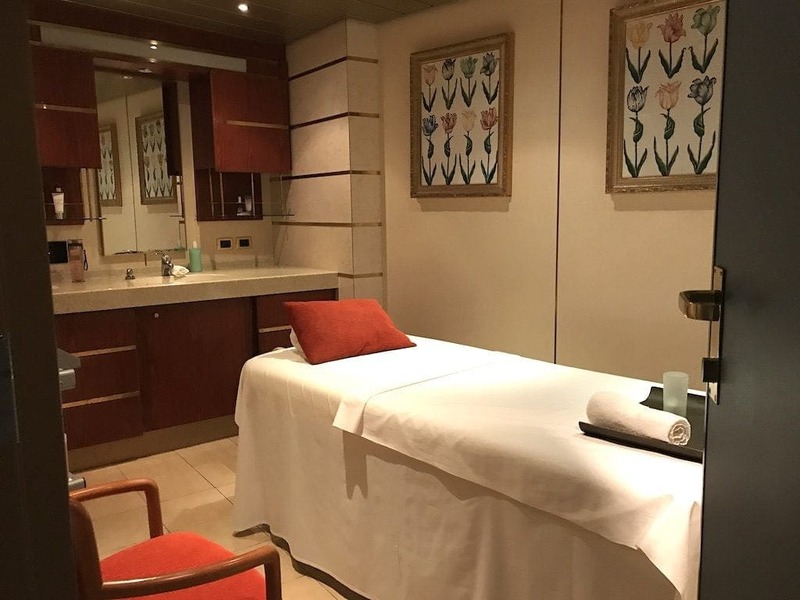 Get a massage at the Greenhouse Spa & Salon * – I had a massage while on board and it was lovely. 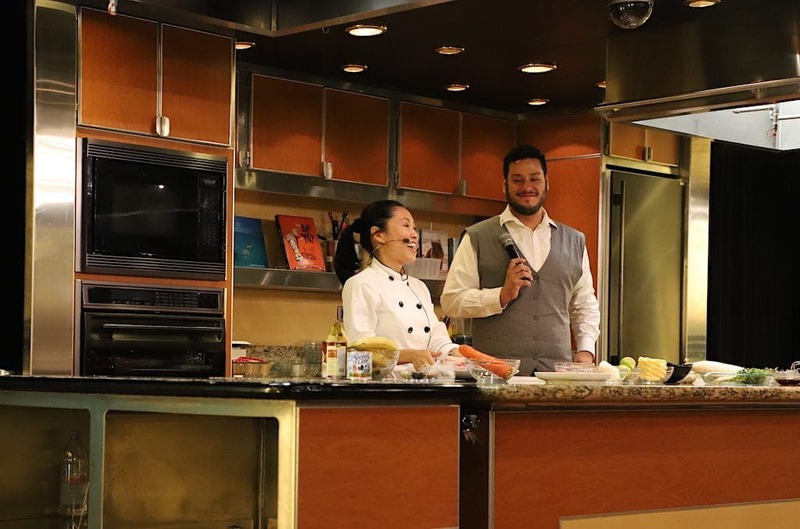 Take a cooking class – You might just have to share that to Instagram! 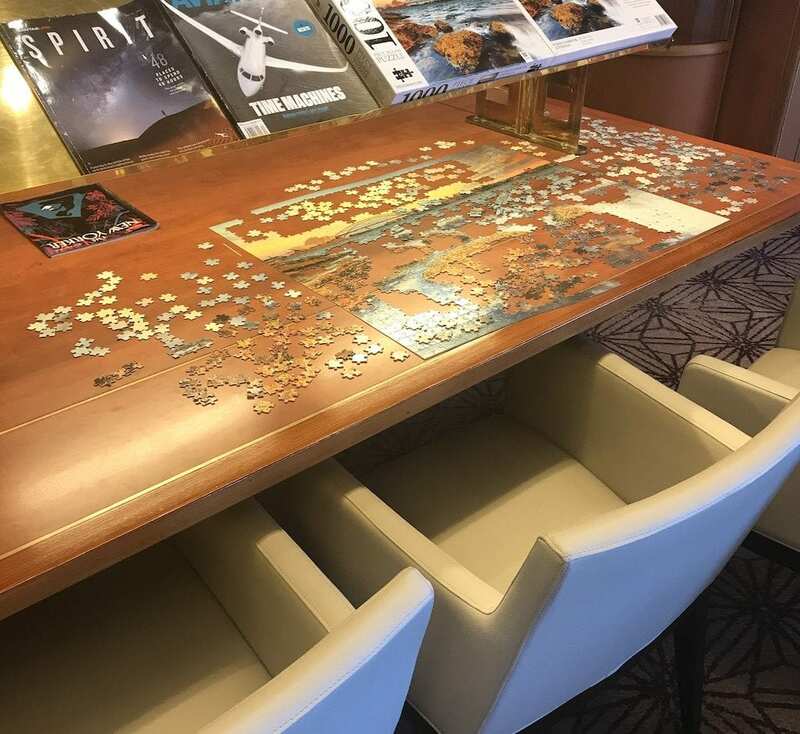 Join friends for a puzzle – I personally love puzzles, and it was fun to be able to sit down and work on puzzles that were in-process any time of day. There seemed to be people joining in all the time, and I made new friends this way. Join the fun for a complimentary skin care workshop. Grab a lounge chair and soak up the sun and the views. 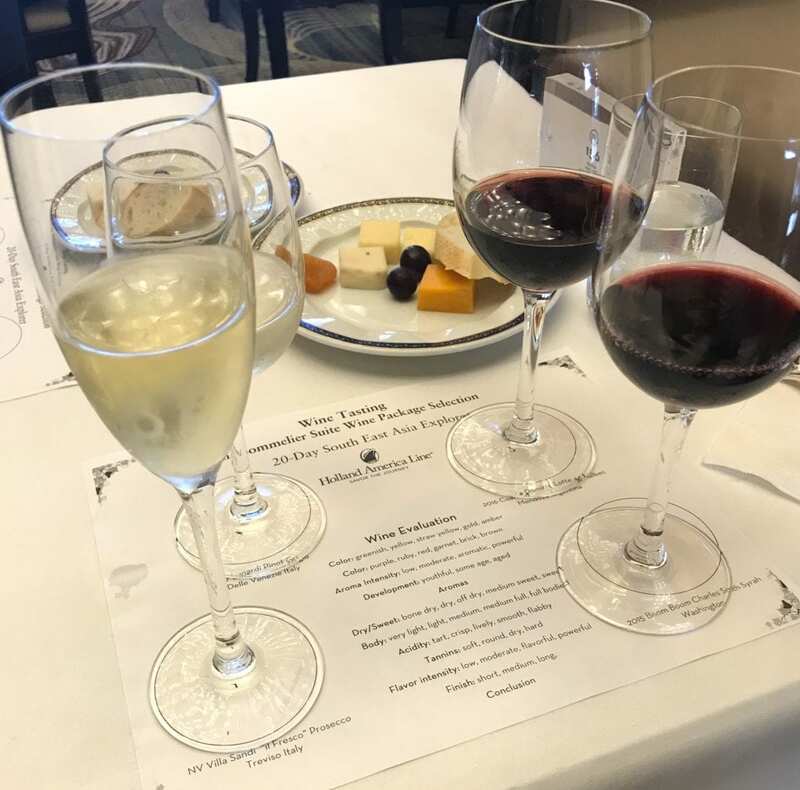 Enjoy a wine tasting of wines from the Holland America Maasdam wine packages * – You may benefit from paying in advance for one of the wine packages. I met friends on board who did this, and the wine steward brought their wine to them at dinner each evening. At this tasting, you can try the wines in the packages to see which package you’d prefer. It’s also a fun event to just learn about (and taste) a few of the wines offered. 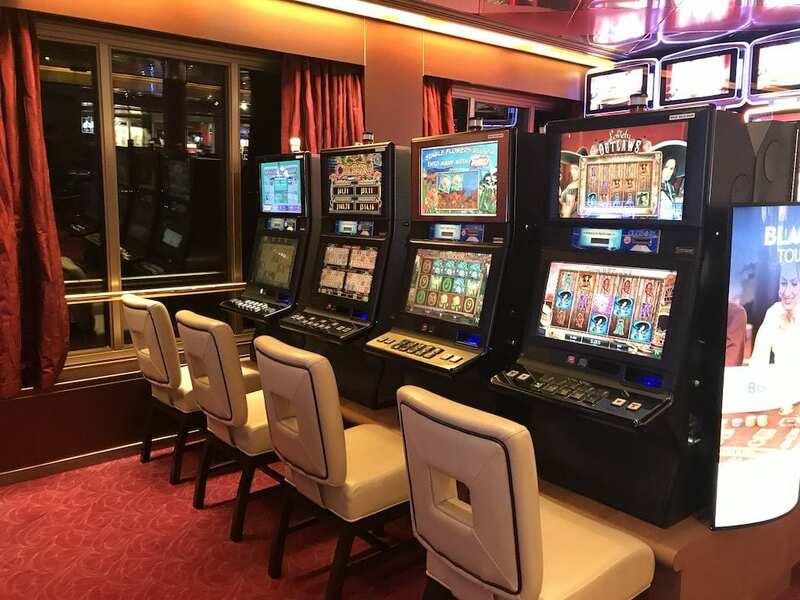 Play the slots at the Casino * – Check for special events like jackpots, too! 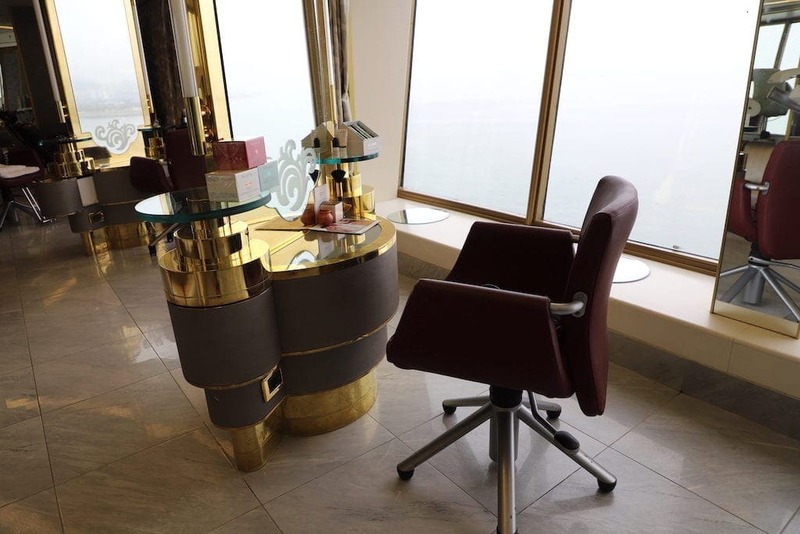 Get a mani/pedi at Greenhouse Spa & Salon * – Choose from a long list of treatments. Play party bridge every day at different times of day – See the Where & When or the Navigator App for details once onboard. 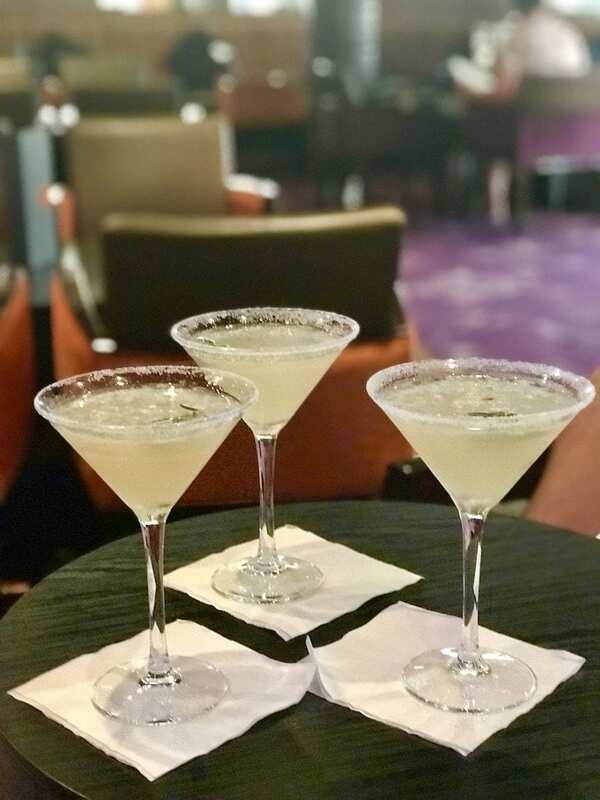 Sample Martinis * – Each day the mixologist makes three delicious martinis to sample. Try one or all three. Play Team Trivia – I only played once, but a great tip is to join your team early on if this is something you’d like to do every day. It was fun! 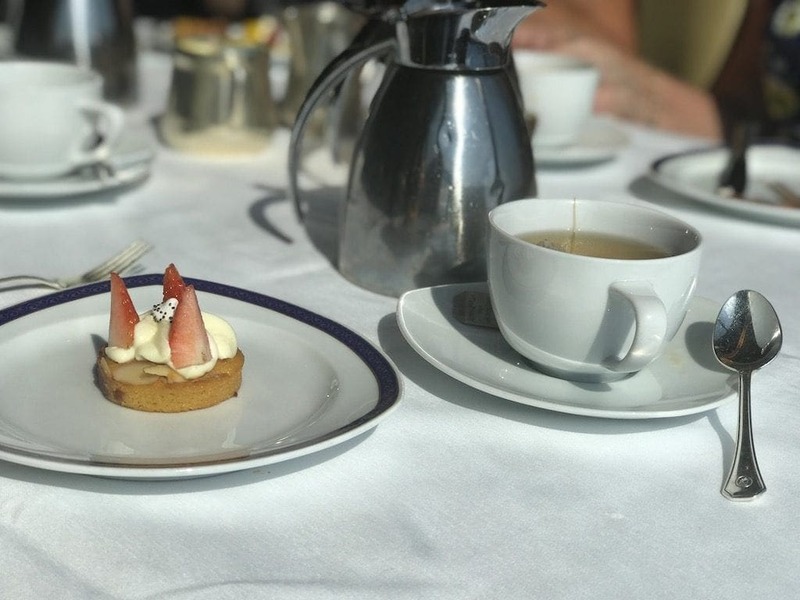 Enjoy Afternoon Tea every day – The scones and desserts are heavenly. 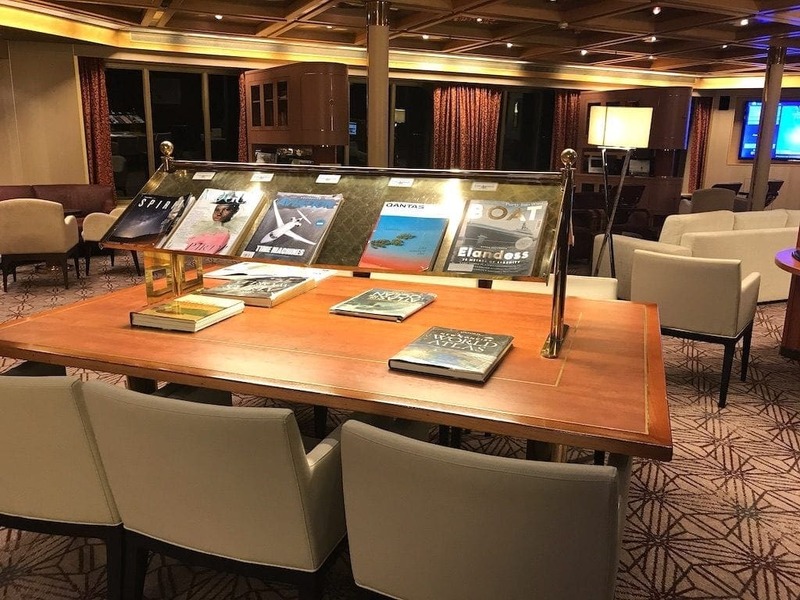 Join the book club – The book club meets early on to pick up the book selected for your cruise with a discussion taking place later on the cruise. Go shopping in the Holland America Shops * – The prices are great! I even checked online for one item I had my eye on, and it was substantially less onboard. As my birthday was the last day on the ship, I bought myself a gift. Listen to live music – Every day you’ll find live music somewhere on the ship. From a piano bar entertainer to The Ocean Quartet to dancing to the hits in the Crow’s Nest, there really is something for everyone. 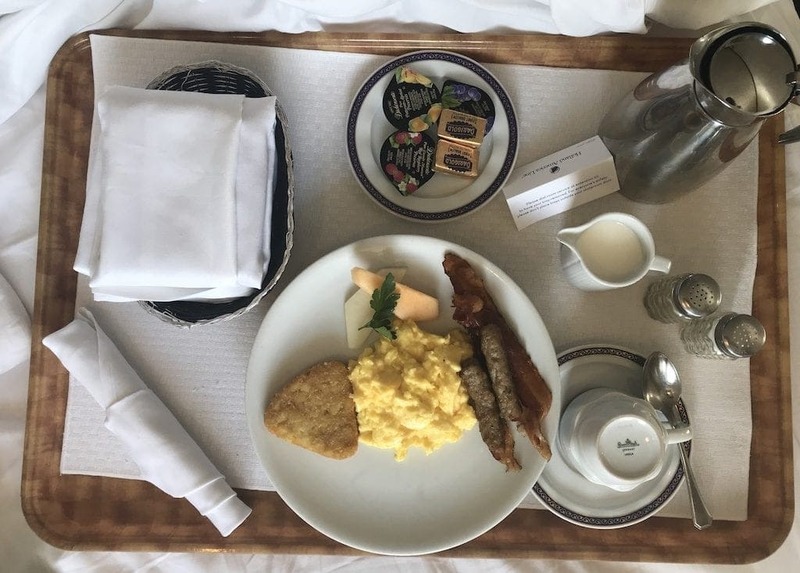 Order breakfast in bed – Most dishes are included in your sail, so order away! You can put the door hanger menu outside your door the night before, or just order when you’re ready. Get a facial at Greenhouse Spa & Salon * – Take a look at the long menu when you arrive and book your facial early. Order one of over 1000 movie titles to your room – For a relaxing night in your stateroom, order room service and a movie. 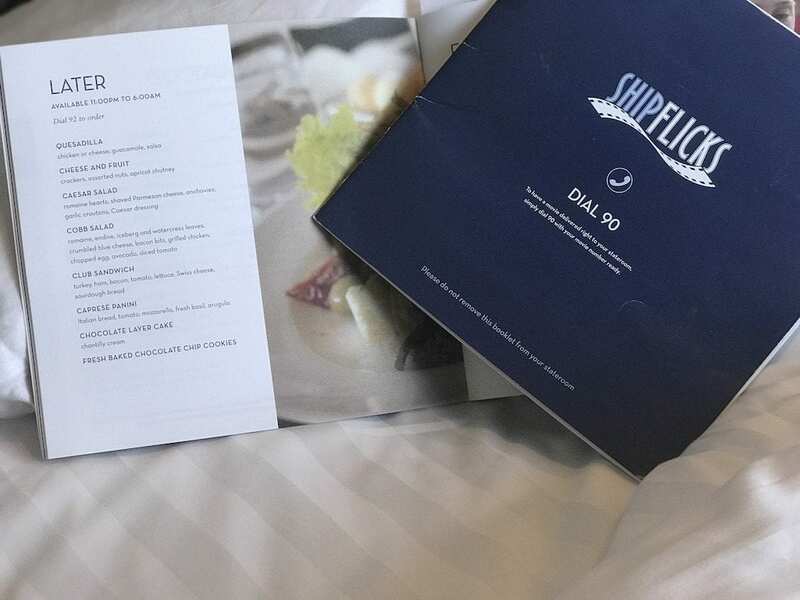 See the Shipflicks guide in your room. 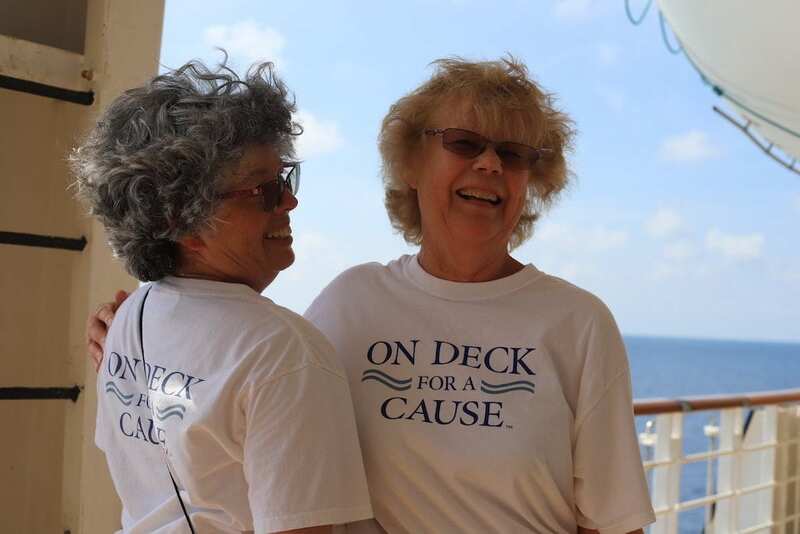 Take Part in the 5K Walk On Deck for a Cause * – Supporting worldwide cancer research, you choose from a handful of cancer organizations and raise money for the cause by donating and/or having support from family and friends. Again, this is just to get you started, and I haven’t even mentioned dining! More on the food on the Holland America Maasdam coming soon. With the new Holland America Maasdam EXC in Depth Voyages, you might just need to bring along an assistant to schedule all the things to do while you’re cruising. Oh, wait. The Holland America Line Navigator app can do all that for you and more! Once onboard, go ahead and add your favorite activities to your schedule right within the app. If you’re traveling with friends or making new ones, you can chat with them right within the app. Thinking about dining at one of the specialty restaurants like The Pinnacle Grill or Canaletto? Go ahead and book your reservation using the app. That shore excursion you were discussing at dinner? You can book that, too. You can even connect to the internet, all right within the Holland America Navigator app. I loved being able to look at the app while I was out and about on the ship. There were times I was leaving one activity and going straight to another. All I had to do was look at the app to figure out where I was headed next. I like easy! So where will you go? You have a lot of choices when it comes to sailing with Holland America, but there is only one ship dedicated to the EXC In-Depth Voyages. 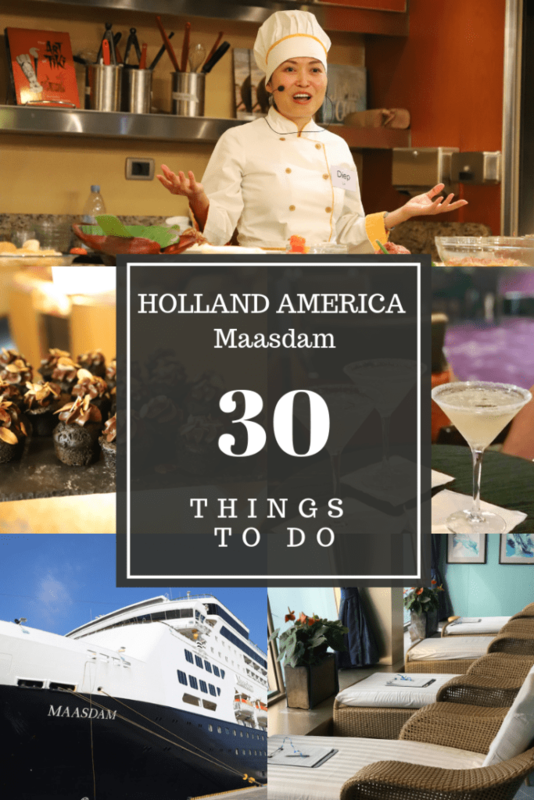 Check out the Holland America Maasdam itineraries and start planning your next vacation.